Are you about to buy a car – new or used? Do you have a nagging sense that somehow the friendly, smiling dealership salesman coming over to greet you may be ready to take you for a ride? And I’m not talking about a test drive. When you walk into the dealership or forecourt, the salespeople there see big fat pound signs. Their job? To make sure you don’t walk out with cheque book or credit card intact. So pay attention, because I’m going to let you in on how this game is really played. First off, let me be perfectly clear: I’m a (soon to be retired!) car sales manager directly supervising my dealership sales team. I’ve been doing this close on to 30 years now. And to pat myself on the back, I’m damn good at it - just as I was when I was a car salesman and a dealership Finance Manager before that. If there’s anyone who knows this business inside and out, it’s me. I’ve been on both sides of the sales fence, and seen every trick, every ruse, every tactic imaginable. I’ve known honest, sincere car salesmen, and then again, all too many who wouldn’t think twice about calling a clunker a golden chariot, or compare a lemon to a luxury vehicle. Their entire focus is on getting your signature on the dotted line. After all, their commissions depend on it. If only you knew a few simple questions to ask - and the right time to ask them. That’s what makes all the difference in the world. It’s not difficult, but in my experience less than 1 in 200 car buyers know how to play the system. Now don’t get me wrong, like you just read above, there are salesman who won’t try and take you for all you’re worth. And paradoxically, they’re usually the top performers. But I’ll be blunt… these kind of salesmen are few and far between. I’m going to spill the beans on all the others – the ones whose only aim is to get your money. The Insider Secrets You’re Not Supposed To Know About! Did you know there are special methods and tricks of the trade almost every dealership uses in order to close the sale? Subtle uses of power dynamics that can actually make you feel guilty about not buying a car - then and there? This is what I expose in my book, “Car Sales Uncovered” – along with the actual real life techniques you can put to use – completely changing the situation to your advantage - putting you in charge of the entire transaction! 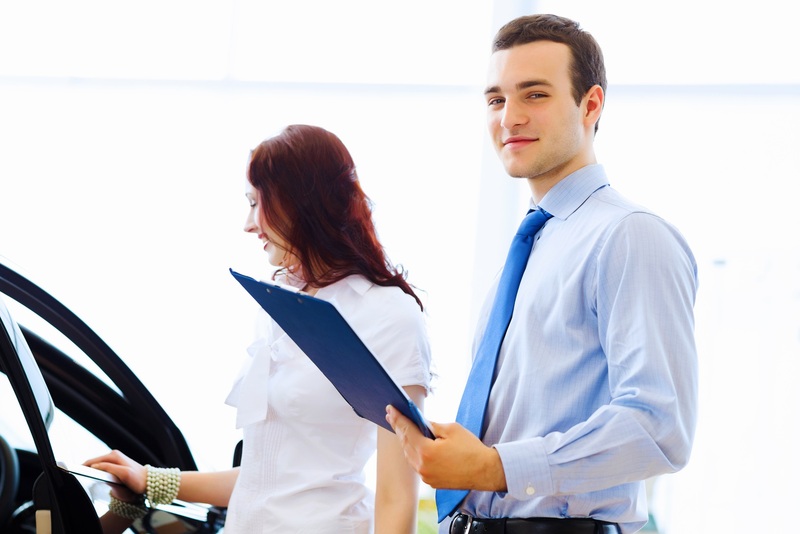 • Why that smiling face doesn’t mean the salesman is your friend. He isn’t, and for a very good reason! • Why the salesman is only one link in the chain of people who’ll be handling your sale. And yes, it’s to maximize their profit! Plus busloads more must know information you’d probably never even considered when looking for a car. • How Long Has That Car Been On The Dealer’s Forecourt? The salesman might tell you the car just arrived last night, but I’m going to fill you in on how to tell if the car is a new arrival, or one that’s been sitting there for weeks. • The Close! Car salesman are taught several “trial close” techniques designed to break down your resistance. I expose what the most common ones are, and the one powerful technique that can completely reverse the situation to your favour! • The Insider’s Secrets To Effective Financing! I devote an entire chapter to the ins and outs of car financing. Little known negotiation tactics that can truly save you a bundle, and how you can not only get the lowest rates possible, but actually game the system to your personal gain. In fact, you’re going to find out why many times you SHOULD finance your vehicle, even if you have the full cash price just sitting in your bank account! Until now I had always bought older cars, run-arounds as I called them, just to get me to work and back. But it finally sank in that all the money I continuously spent on these old cars could have actually got me a brand new car in the first place with a three year warranty so that is what I decided to do this time. I found the car I wanted which was advertised at £199 deposit and £199 per month, a figure I was comfortable with however I had never been to a car dealership in my life and all the stories I had heard about them scared me silly. My boss suggested I should speak to Andrew, an acquaintance of his first. Andrew explained in simple terms how the dealers worked and not only what to expect but also what I should do and say at every step. As nervous as I was I agreed and to my surprise I actually got the payments down to £179 a month with the same deposit, a saving of £840 in total. Before collecting my car Andrew asked me to ring the dealership up and say exactly what he told me to say. I couldn’t believe it I managed to get the Paint Protection thrown in for free and £150 off the GAP cover! There is nothing worse than a women walking into a dealership full of men and trying to buy a car. I thought I would walk in, haggle a deal and drive out with a new car. I did walk in but got absolutely nowhere with the haggling and walked out with no car. A friend introduced me to Andrew and he explained a simple ‘process’ that I needed to follow and to stick to it. I actually went back to the same dealership two weeks later on a similar car, a Vauxhall Astra, and did exactly as Andrew had suggested and even rang him a couple of times during the purchase. To my surprise the salesman actually took me seriously and without even realizing it I ended up saving £1245 on the deal! I still don’t quite know how it happened, I simply did and said as Andrew suggested! We were looking for a second car for Zita to use and one thing we have never needed to take is finance on a car. So when Andrew suggested it the answer was a straight NO! Andrew persisted though asking us to humour him and even offered to cover any loss. Andrew explained the process a couple of times but it still didn’t sound feasible however we decided to give it a go assured that we would not lose out. To our amazement by following a simple suggestion we took out finance on a Ford Kuga, paid it off after three months and saved over £900 by doing so! Absolutely fantastic still can’t believe it. If only we had known all this when we bought the BMW! Ever tried to walk into a car showroom and get a finance quote on a used car? You have a better chance on the lottery. Why does this simple request end up being a long drawn out event with me being none the wiser? It seems like the dealer wants you to find a car before they give you monthly payments but if I don’t know how much the repayments are how do I know which car to choose!? It’s almost like the chicken and egg scenario. Andrew sent me a draft of his book explaining the reasons behind this and how I should approach this issue. It actually made sense reading it so I decided to put it into action and true enough the dealers whole approach changed and he actually became really helpful and interested. The more I used Andrews advice the more eager the dealer was to do a deal for me. A new Mazda and a saving of £735, I am definitely not complaining, thanks Andrew with the money I saved here I am on holiday in Cyprus! My partner and I were looking for a car six months prior to Andrews involvement but were put off by one single reason. Our part exchange. Whenever we tried to get a price on it we got told the same things wherever we went, ‘well it depends on which car you buy’ and ‘Oh the Managers not in right now he values the cars’ or ‘Well how much do you want for it?’ and even ‘It’s probably worth anything between £2000 and £5000!’. Knowing how the system works is only one part of the equation. The other part is making it work for you. This is where my experience is going to make your life a whole lot easier, and the entire car buying ordeal as stress and hassle free as possible. • The Hidden Fact Behind Your Test Drive! What you don’t know can come back and bite you big time. I uncover the dubious tactic some dealers try and play with these special tags. (page 74)People just hate being kept in the dark – and I don’t blame them one bit. So I’ve devoted an entire section of my book to this very topic! 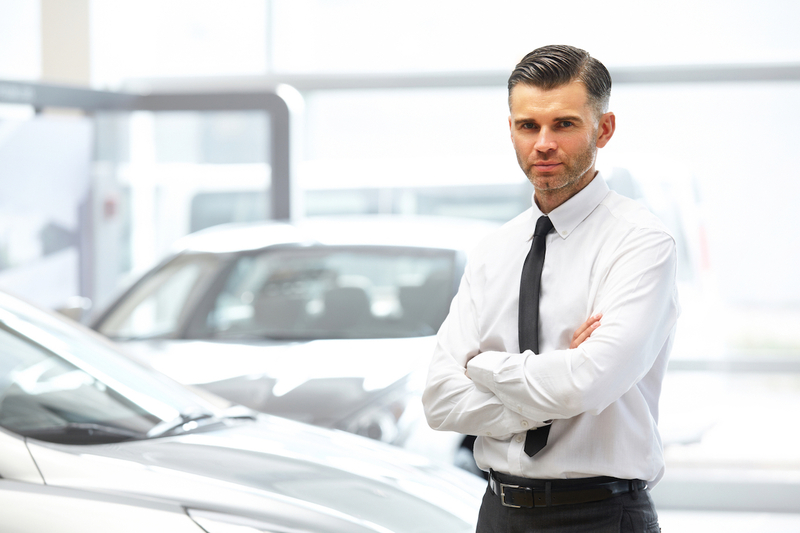 Dealerships want you to wait – because it puts them at an advantage. 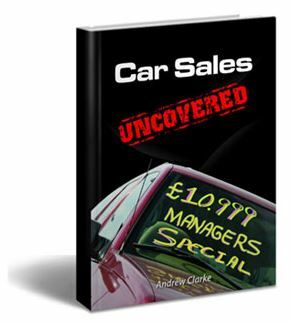 • I’ll show you exactly how to short circuit this delaying tactic – turning the tide in your favour and have a credible, honest figure in hand before you even walk onto the dealer’s forecourt. In fact, one of the biggest gripes I constantly hear from my potential customers is trying to pry the part exchange price and finance figures from the salesman – before going through the whole song and dance sales and negotiation process. Now of course you have to realize that car dealerships are in business to make money. There’s absolutely nothing wrong in making a profit. But on the other side, there’s no excuse for getting ripped off either. I’m thoroughly convinced ANYBODY can save between £200 - £2,000 off the price of their next car – even if you’ve never negotiated the price of a car before. A dead-simple method so easy, anyone that can talk to a car salesman can SUCCESSFULLY master it. Known to be one of the most stressful situations we can find ourselves in today, buying a new or used car is guaranteed to set your heart pounding and your nerves jangling. The minute we arrive at a car dealership, we just know they’re out to extract as much money as possible from us for a car we know we need but don’t necessarily want to be buying. Well it doesn’t have to be like that! This car buying guide will provide all the ammunition you need when it comes to dealing with car salesmen, haggling with car dealers, obtaining the best Part Exchange price and learning how car dealer finance offers really work. Remember: These car buying tips and car buying advice comes from a 'real' insider and not some journalist or article writer. So the next time you start negotiating with car dealers use all you have learnt and get the deal YOU want. You will be surprised at how easy it actually is! Andrew Clarke is one of those people you thought didn’t exist - someone from the motor trade with a conscience.